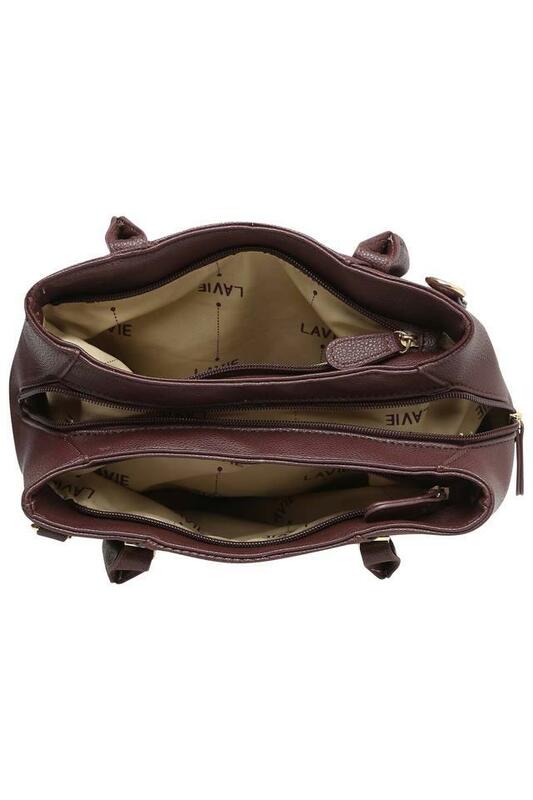 Add to your collection of bags this satchel handbag from Lavie, which has three compartments which will be more than sufficient to hold all your essentials. The geometric pattern that it features renders it trendy to look at. It also has a long strap which further lets you carry it with ease. 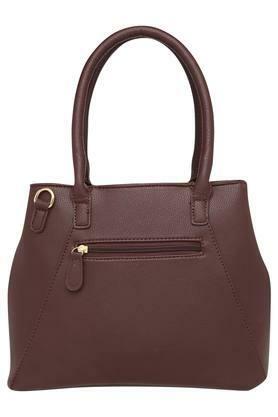 Brighten up your day with this beautifully designed satchel handbag which has three compartments to hold your necessities. 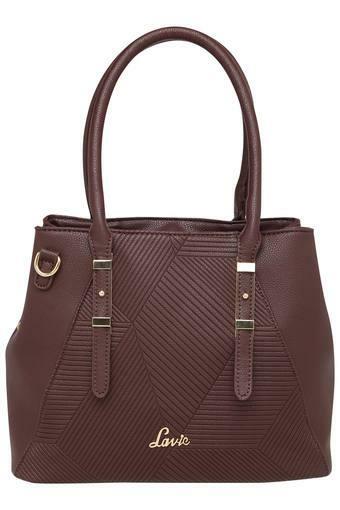 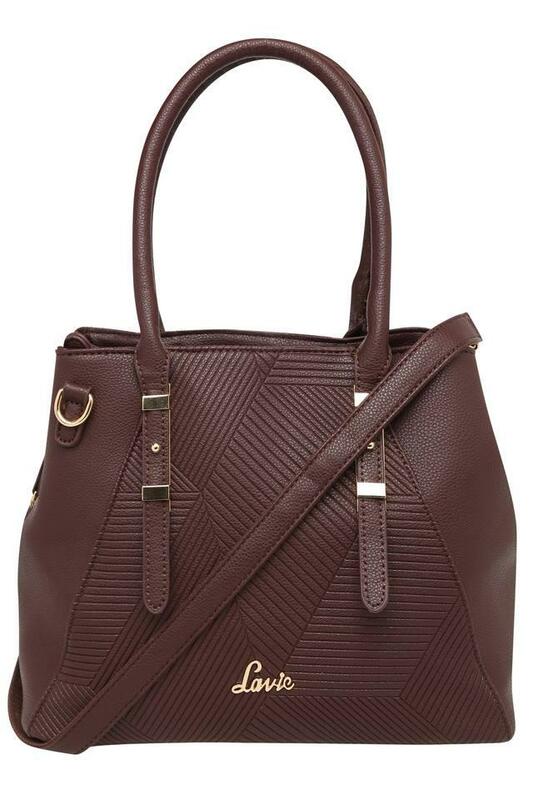 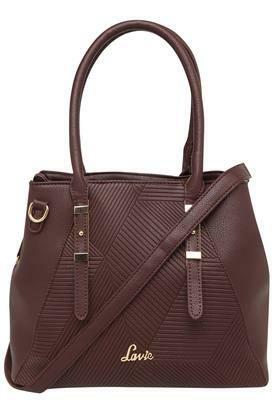 Wear any of your favourite outfits to complement this bag.